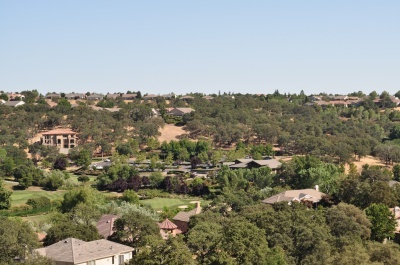 Whitney Oaks is a beautiful master planned community located in the rolling hills, grasslands and majestic oaks of Rocklin, CA, which is located approximately 25 miles from Sacramento. Whitney Oaks is located in the very family oriented community of Rocklin, California, which is renowned for its schools, parks, public pools and all around pleasantness. The Westfield Galleria Mall, The Fountains and just about every other type of shop, store or restraunt someone could want or need, is located within a few short miles near Highway 65. Whitney Oaks home owners have access to two community pools, numerous parks, a community gym and the Pyramid Bar and Grill located in the Whitney Oaks Clubhouse. There are also miles of hiking, biking and walking trails that weave throughout the natural open spaces of the community. The community has approximately 5,000 residents and over 1,800 homes built in numerous villages, offering a wide range of different home styles. Whitney Oaks real estate options include extraordinary custom built luxury homes in and around the golf course, beautiful semi-custom tract homes with views of the valley, and easy to care for townhomes at the communities perimeter. There is also a popular active adult community, Springfield at Whitney Oaks, which is incorporated into the community. If you are looking to buy or sell Whitney Oaks real estate, we are experts in the area and would love to help you. Please feel free to contact us, or give us a call at 916-728-1981.